Published: May 12, 2014 at 10:05 a.m. Updated: May 13, 2014 at 09:46 a.m. The Cleveland Browns' 2014 NFL Draft will be remembered as a franchise-altering masterpiece if cornerback Justin Gilbert and quarterback Johnny Manziel thrive at the next level. The fact that Browns general manager Ray Farmer also managed a Thursday night trade with the Bills that netted first- and fourth-round picks in 2015 only adds to the potential of this draft. But one pesky asterisk hangs over Farmer's haul. Cleveland is aware it potentially will be without Josh Gordon for some or all of next season after another positive drug test. How could the Browns not select a single wide receiver in 10 picks? Farmer told Peter King of TheMMQB.com that the Browns came "very close" to selecting Clemson wide receiver Sammy Watkins with the fourth overall pick. King asked how Farmer will feel if Watkins becomes Randy Moss II. "Even if Sammy turns into Randy Moss, Justin Gilbert can be every bit as good as Patrick Peterson," Farmer said. "That's how much talent he has. And in the game today, I feel cornerbacks are as important as wide receivers, and maybe harder to find. So I have no regrets about it, no." Farmer said the Browns would've taken that wideout had the draft broken differently. "I'll be candid here," he said. "The real position to get a receiver would have been at 35, and we thought of it. There were receivers there we liked a lot. But we loved (Nevada offensive tackle) Joel Bitonio at 35. He was clearly the highest-rated player for us then. Not another guy of his caliber, or even close, there. We stayed true to our board. "Then we hoped one of the receivers we liked would have fallen to 71, but they were gone then. That's the heartbreaking part of the draft. You like so many guys, and they get picked, and you say, 'There goes another one.' It hurts, but you can't have everyone you want." Any fantasy football owner can empathize with Farmer. As for the Browns, if the season started today they'd have a wide receiver group that includes Greg Little, Andrew Hawkins and Nate Burleson (who just broke his arm again). Expect the Browns to sift through the free agent bargain bin in the near future. 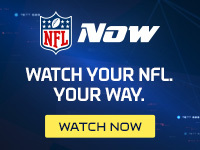 UPDATE: NFL Media Insider Ian Rapoport said Monday on "NFL Total Access" to keep an eye on free-agent receivers Miles Austin and Santonio Holmes as the Browns look to address the position.